URPOWER offers a solution to the most common problem encountered with essential oil diffusers: you want it to work for longer. The URPOWER 500ml Aromatherapy Essential Oil Diffuser is a great product that you’ll want to try for yourself. Plus, it’s a 5-in-1 model that’s kind of hard to beat. You finally have an essential oil diffuser that can last you the whole night on one tank of water. Yes, the URPOWER 500ml Aromatherapy Essential Oil Diffuser is a giant compared to the usual 100-130ml ultrasonic diffusers on the market. You’ll love the fact that it’s a 5-in-1 product. You not only get to enjoy aromatherapy, but also its humidifying effects against dryness during the winter months, as well as better air quality with its purifying and ionizing technology. The whole unit also lights up to provide you with quite a bright night light. The unit has a 500-ml water capacity. What you’ll like about this diffuser is that the water levels are clearly marked out, unlike other models, so you can easily see where your water level is at any given time. It’s also easy to open — simply lift off the lid and then your water well is accessible. It’s also easy to clean, since the lid is so easy to lift off. The sub-lid can also be popped open if you want to thoroughly clean your unit. Once you have the lid back on, you can choose which way you want the misting mouth to face. The light and misting buttons are separate, so you have complete control of both functions. You can use it purely as a diffuser or purely as a night light, whichever suits your fancy. As for the light, you can choose for the diffuser to cycle through different colors, or keep it fixed on the one color you’re in the mood for. The misting function also has different options. You can choose the 60, 120, 180 and continuous modes. If you long-press the mist button, you turn off the whole unit, including lighting. This is a unique feature, since most diffusers only turn off if you unplug them. The URPOWER 500ml Aromatherapy Essential Oil Diffuser works very quietly, especially when the water level is above 300 ml or at 500 ml, though you may hear a slight gurgling noise when the water level is low. Once the water runs out, the unit safely and automatically shuts off. This is a great product if you suffer from allergies. Because of its ionizing technology, it can get rid of allergens and other stubborn household smells that can trigger an allergic reaction. Its advanced ultrasonic diffusing technology helps keep the molecular structure of your essential oils intact, so you can truly feel the therapeutic benefits. It’s quite large, and so it’s quite conspicuous in your room. Even at night when the lights are off, it keeps the room well lit, allowing you to navigate through a large room when the night light function is on. It uses ionizing technology, which emits some amount of ozone. If you have respiratory problems, such as COPD, you might want to have a separate essential oil diffuser and air purifier to be safe—preferably an air purifier that does not use ionizing technology. Since it also serves as an air purifier and ionizer, regular cleaning is advised. Cleaning once a week is recommended, but you also have the option of cleaning it every time you open the diffuser for a refill. The 500ml Cool Mist Ultrasonic Humidifier & Aromatherapy Essential Oil Diffuser by Sustayne is similar in design and water capacity to the URPOWER 500ml Aromatherapy Essential Oil Diffuser. It runs for up to 10 hours on the continuous mist setting, and has 7 changing LED lights with 3 different light settings to suit your mood. You can choose between 3 timer settings, or the continuous mist setting. The unit also purifies, humidifies and ionizes the air for improved air quality. The Airomatik® 400ml Essential Oil Aromatherapy Diffuser, on the other hand, is slightly different from the URPOWER. It holds 100 ml less than the URPOWER, but its unique night light design makes it quite attractive. Though it only has 6 LED lights to choose from, it has a unique candle light feature at the center of the unit that makes it appear as if a candle was inside, allowing for a gentle, soothing ambiance. It’s a great 5-in-1 product that’s quite affordable, considering all the functions it offers. The URPOWER 500ml Aromatherapy Essential Oil Diffuser gets a 5 out of 5. The InnoGear® 100ml Aromatherapy Essential Oil Diffuser might just be your new best friend—it makes your home smell nice, and makes you feel great. You’ll hardly notice the unit while it operates, thanks to its whisper-quiet technology, and it comes with 7 changing LED lights for night-time use or daylight fun. The InnoGear® 100ml Aromatherapy Essential Oil Diffuser offers a whole host of advantages. For one, it has 7 changing mood lights, which are particularly fun for kids. The mood lights can be kept on or off as the diffuser runs, since these are two separate functions. If you find the light too bright, you can opt for the dim setting. You also have the choice of fixing the model on one particular light, or cycle between the different colors, which include green, red, yellow, pink, dark blue, light blue and white. Not only is this product a great essential oil diffuser, it’s also an ultrasonic humidifier, thus preventing dry and stuffy air as well as chapped skin and lips during the winter months. This function helps the whole family breathe a lot easier in your home. It works great to diffuse the scent of your favorite essential oils. It masks stubborn household odors, such as smoking and pets. 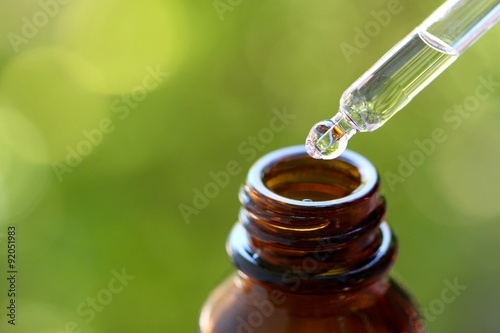 You get the full benefits of your essential oil, whether for aromatic or therapeutic purposes. The whisper-quiet technology helps you sleep soundly at night without being disturbed of any fan noise, whirring or buzzing sounds. It has a 100-ml water capacity, although the maximum volume is 120 ml. This gives you up to 6 hours of use if the unit is set to intermittent mode, or up to 3 hours of use on continuous mode. The InnoGear® 100ml Aromatherapy Essential Oil Diffuser gives you complete control. You can choose from three working modes, including intermittent mist (30 seconds on and 30 seconds off), continuous mist and lights only. The InnoGear® 100ml Aromatherapy Essential Oil Diffuser also has a safety feature that automatically shuts the unit off when the water runs out. This prevents the unit from burning out, and also saves you money on your electricity bills. The InnoGear® 100ml Aromatherapy Essential Oil Diffuser does not have an on/off switch or button. Once you’ve got the diffuser going, the only way to turn it off is to pull the plug. Otherwise, you’ll have to wait for the water to run out before it automatically shuts off. The LED lights on the InnoGear® 100ml Aromatherapy Essential Oil Diffuser may be a little too bright for some, but the unit does have a dimming function. If you find the unit still too bright, another alternative is to put it against a wall to give a softer ambience to your room, rather than just using it as a simple night light. If the InnoGear® 100ml Aromatherapy Essential Oil Diffuser is too small for you (maybe you need a diffuser that can cover a large space, or you want one that runs for more hours), you might want to try the InnoGear Aromatherapy Essential Oil Diffuser 500ml. This unit has many of the same features as its smaller counterpart, but can diffuse scent in spaces up to 430 square feet, and can humidify spaces up to 270 square feet. It can run for up to 8 hours in high-mist mode, and up to 17 hours in low-mist mode. You also have 4 timer modes to choose from. If you want a diffuser that looks more aesthetically pleasing, the QUOOZ Lull Ultrasonic Aromatherapy Essential Oil Diffuser may be the choice for you. It has a 200-ml water capacity that can last you for 8-10 hours. It offers the unique and soothing “breathing” mode, where it gradually lights up and slowly fades down. This feature combined with the therapeutic benefits of the essential oil is immensely relaxing. The 2016 ZenBreeze Wood Grain Model is also a great essential oil diffuser and humidifier that not only looks beautiful, but also offers 14 changing LED lights. The wonderful play of colors, the vapor moisture and the holistic benefit of essential oils all come together to help you relax and enjoy your home. The InnoGear® 100ml Aromatherapy Essential Oil Diffuser is simple to use, with parts that are easy to install and remove. It reliably rids your home of unwanted odors, it’s very portable and it works great with your favorite essential oils. This product deserves a 5 out of 5 rating.